Embryonic stem cells have the ability to grow indefinitely while maintaining pluripotency. Under the right circumstance, pluripotent stem cells (PSC) can produce almost all of the cells in the body including regulatory T cell (Tregs). Tregs are essential for normal immune surveillance systems, and their dysfunction leads to the development of diseases, such as autoimmune disorders. PSC are a potential renewable source of healthy Tregs, which could treat a wide array of autoimmune disorders. However, the right circumstances for the development of antigen (Ag)-specific Tregs from PSC (i.e., PSC-Tregs) has not been well defined. So the purpose of this study is to develop antigen-specific Tregs from pluripotent stem cells for treatment of Ag-induced arthritis (AIA) in mice. 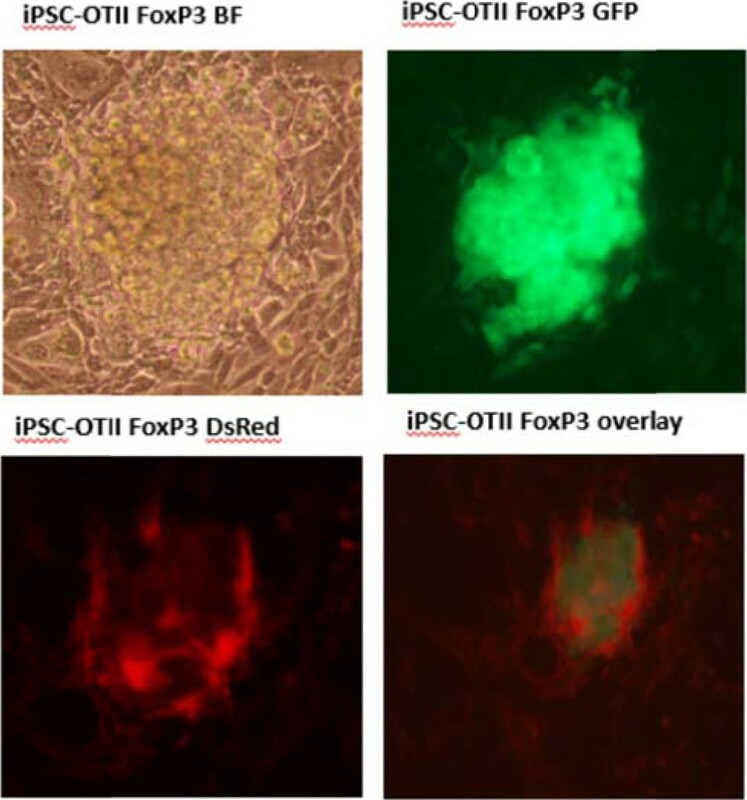 In this study mouse iPS cells were transduced with FoxP3 and ovalbumin-specific TCR (OTII). 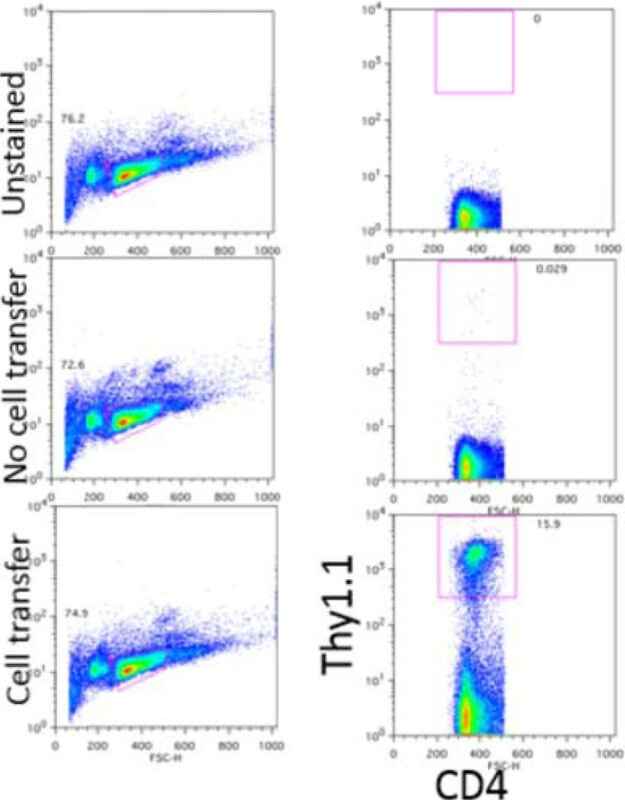 iPS cells were driven toward T lymphocyte lineage by co-culture on OP9 cells expressing delta-like (DL1), a Notch ligand. The combination of Notch signaling, FoxP3, and TCR drove iPS cell to differentiation into Ag-specific Tregs. 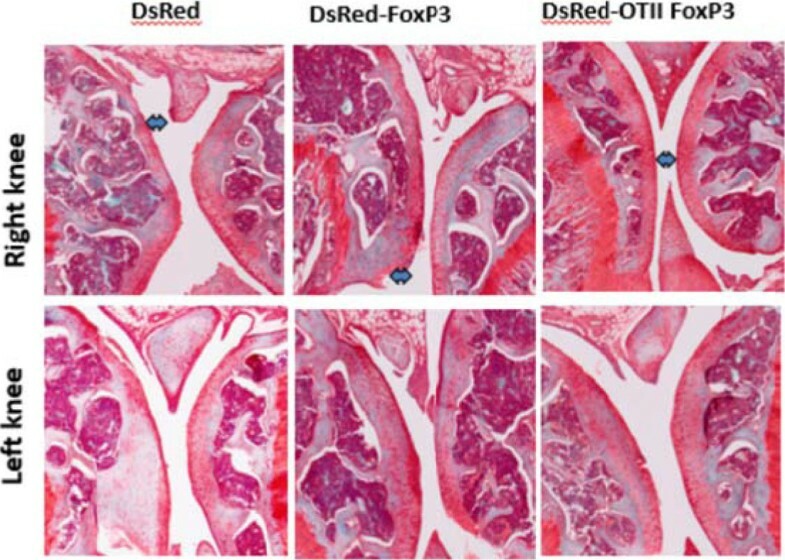 In vitro generated Tregs were adoptively transferred into AIA mice. Our results showed that TCR transduced iPS cells differentiated into Tregs and express CD3, TCRβ, CD4, CD8, CD25, CTLA4 in vitro. 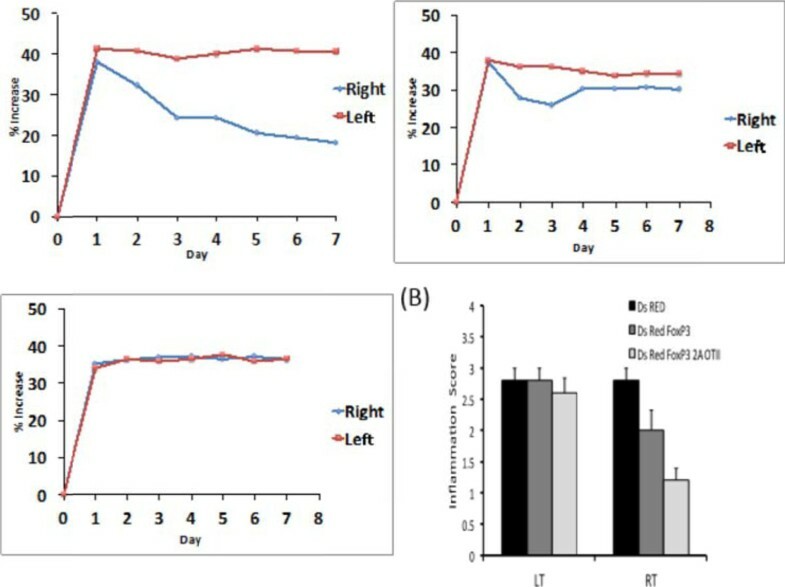 Adoptive transfer of such Tregs dramatically suppressed autoimmunity in a well-established AIA model, including the inflammation, joint destruction, cartilage prostaglandin depletion, osteoclast activity, and Th17 production. 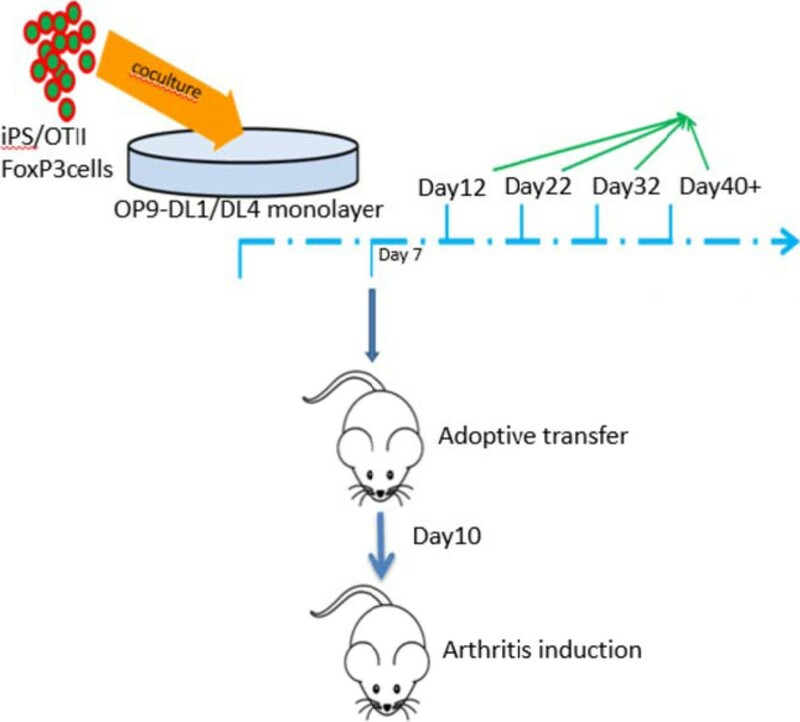 Arthritis development was reduced in adoptively transferred mice. Adoptively transferred cells are functional. Adoptively transfer cells are in persistence in vivo.